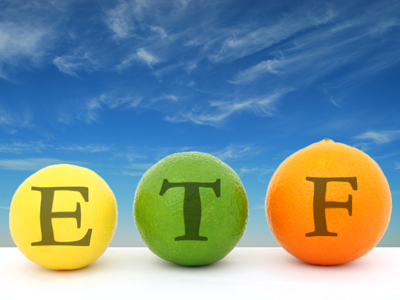 Are All ETFs Created Equal? “Physical ETFs” are baskets of stocks or bonds (or fractional shares of stocks or bonds) which have been assembled according to an index and are backed by the issuer who owns the actual shares of the stocks/bonds. “Synthetic ETFs” are created by using derivatives (like swaps, futures and options) that mimic the movement of an index. These ETFs are not backed by the actual shares of assets they seek to mimic. While an investor theoretically gets the same return that he or she would if they owned shares of the underlying asset; the ETF return is synthetically derived. Synthetic ETFs may subject investors to counterparty risk. In some cases, the creators of synthetic ETFs use illiquid assets as the collateral for the ETFs they sponsor. This could spell disaster if investors all tried to cash in on their investment. With illiquid assets as the collateral, the issuer may not be able to sell the assets to raise the capital needed to pay investors. Synthetic ETFs are very popular in Europe. In the US, the SEC has put on hold approving any more derivative-based ETFs until it studies the issue further. We at Marotta Wealth Management do not invest in synthetic ETFs because we aren’t interested the “leveraged” or “short” market strategies which these ETFs typically offer (nor are we interested in the counterparty risk). Mailbag: Which is better, Vanguard mutual funds or ETFs? Beth Nedelisky is part of the Investment Committee at Marotta Wealth Management and specializes in trust and endowment management. Born in Africa, raised in Europe and married in the USA, Beth understands world markets first hand.